Post-punkers White Lies will come to Liverpool as part of their UK tour, Getintothis’ Will Truby reports. White Lies will play Liverpool’s Eventim Olympia on Thursday, February 7 in support of their new album, Five. The album marks a decade of the band’s existence, which certainly feels like a significant milestone when you consider the plethora of 00’s bands who barely lasted into their second album (here’s looking at you, Razorlight). 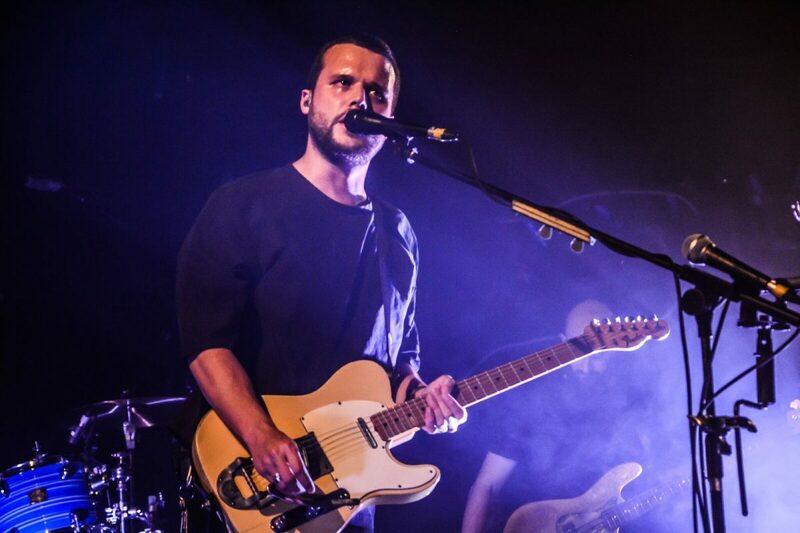 Even if you are not familiar with them, any fan of the 00’s post-punk/indie scene will be sure to find a new favourite in White Lies, who draw comparisons to bands such as Interpol and Editors, but are decidedly more uplifting in their musical style. So far they have released two singles, the 80s synth, Porches gloom-pop Time To Give, and fuzzy-synth rock Believe It. The show will almost certainly be heavily laden with earlier hits, such as Farewell To The Fairground, To Lose My Life and Bigger Than Us. The January tour, which sees the band also play Manchester’s Albert Hall on January 8, and Nottingham’s Rock City on January 9, will lead up to Five being released on February 1.